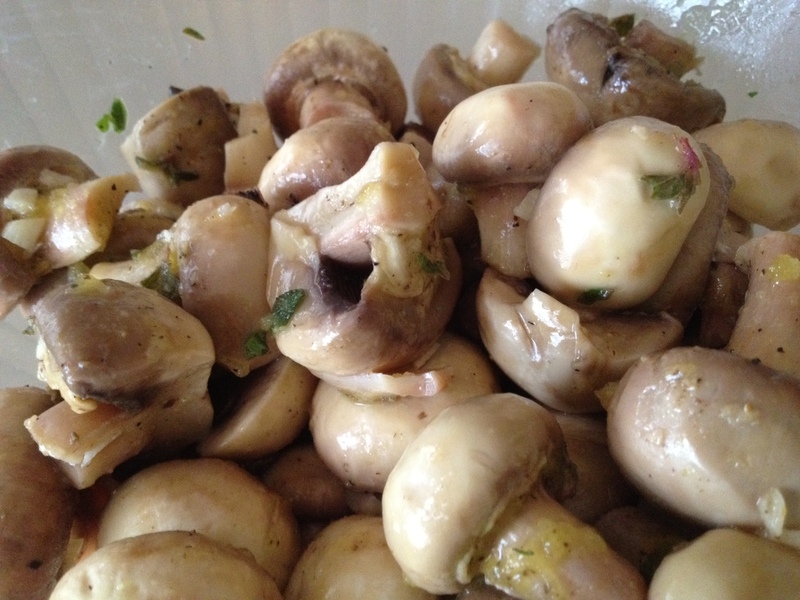 These marinated mushrooms are a great holiday appetizer or side dish, and they taste better and better as they chill over a few days. This is also a great base for any additional “extras” you may want to add- sauteed zucchini, roasted red peppers, Parmesan cheese, grilled chicken, etc. Combine all ingredients except the mushrooms into a medium bowl. Whisk to combine. Add in mushrooms and gently stir to coat. Place in fridge for at least one hour and overnight if possible. Serve chilled or at room temp. You can add crushed red pepper flakes if desired.